↑ 6.06.1 Schulman, Sarah. 2012. Changing the AIDS definition. Documentary. 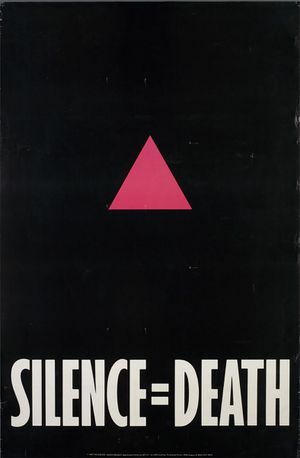 https://www.opendemocracy.net/transformation/ray-filar/silence-death-sarah-schulman-on-act-up-forgotten-resistance-to-aids-crisis. ↑ 11.011.111.211.311.411.511.6 Act Up New York Website. n.d. Actions and Zaps. http://www.actupny.org/documents/newmem2.html. ↑ 15.015.1 Jim Hubbard, 2012, United in Anger, https://www.youtube.com/watch?v=MrAzU79PBVM. ↑ 18.018.118.2 Act Up New York Oral History, Interview 005, 2002, http://www.actuporalhistory.org/interviews/images/carlomusto.pdf.